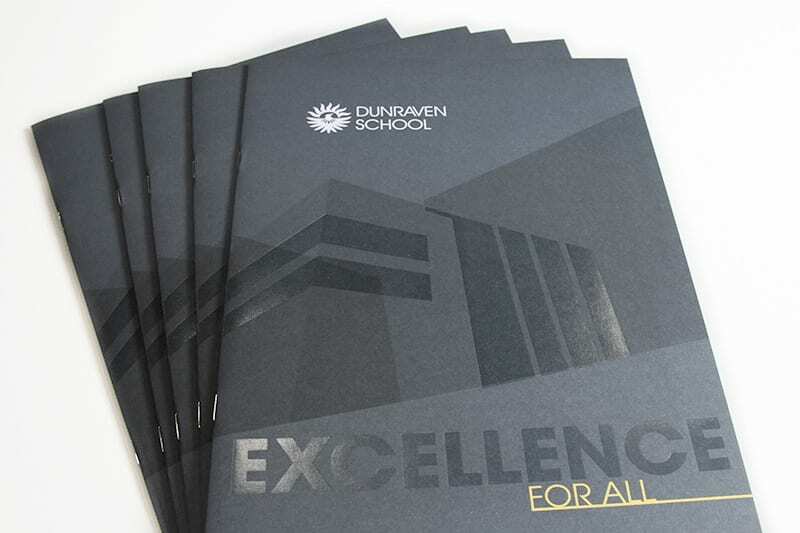 Working collaboratively, our print and digital designers set about creating a new look and feel for a suite of new communication materials to enhance school marketing for Dunraven School. 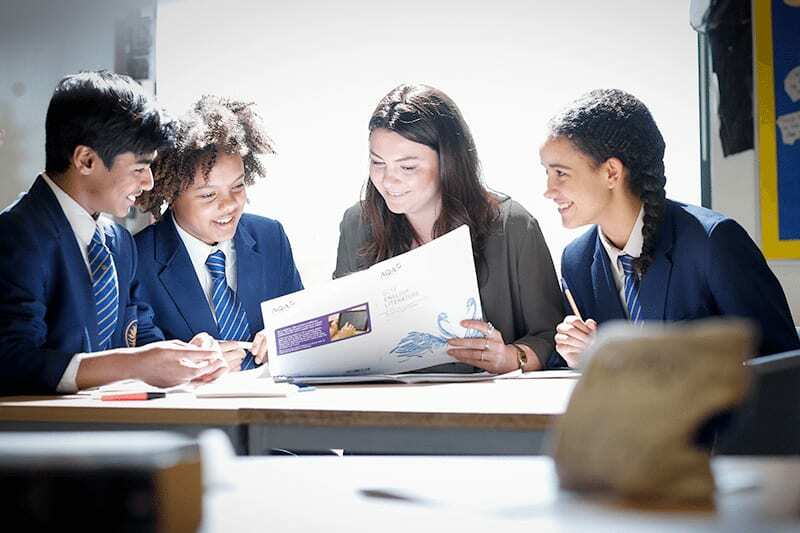 For inspiration, the team needed to look no further than the stunning school buildings. Incredible modern architecture influenced a bespoke graphic on the prospectus cover and is reinforced through geometric design features. 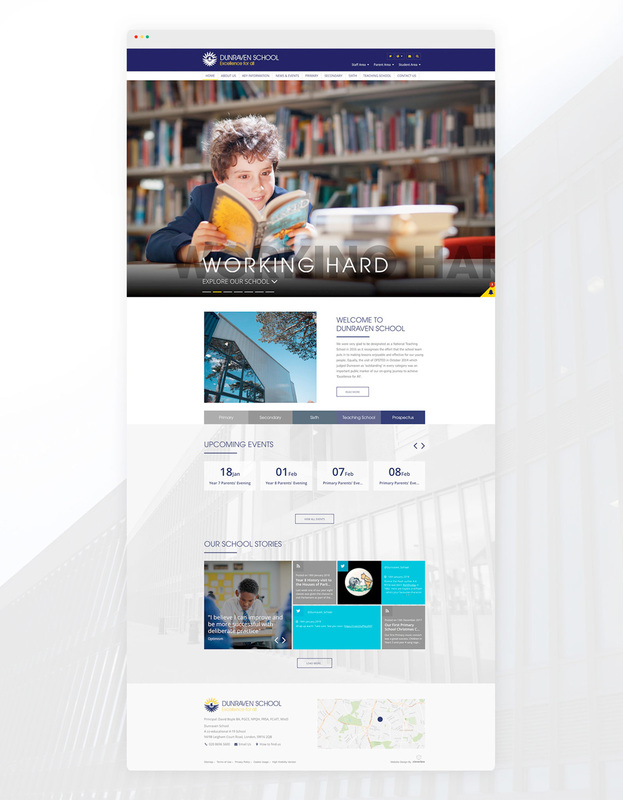 The layered page heading text pushes the theme further, almost mimicking the shadows created by the angular school building. 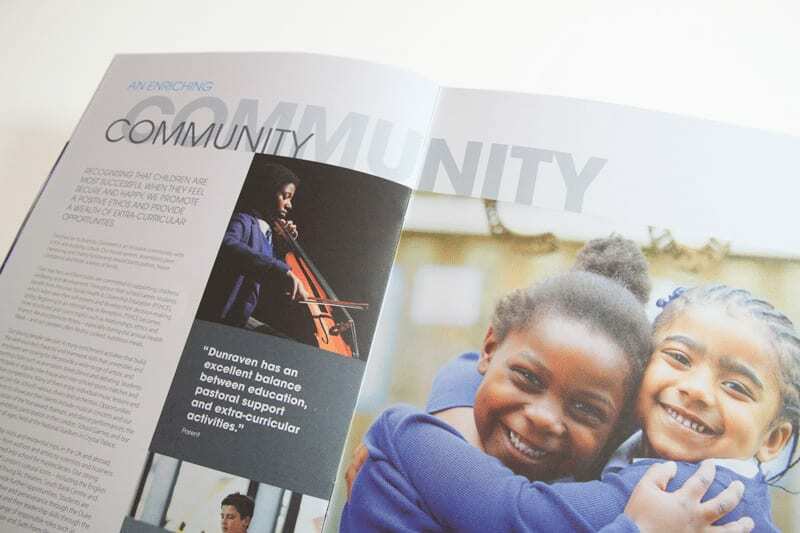 The website complements the prospectus and folder perfectly, with a sleek yet functional design to enhance the school marketing. 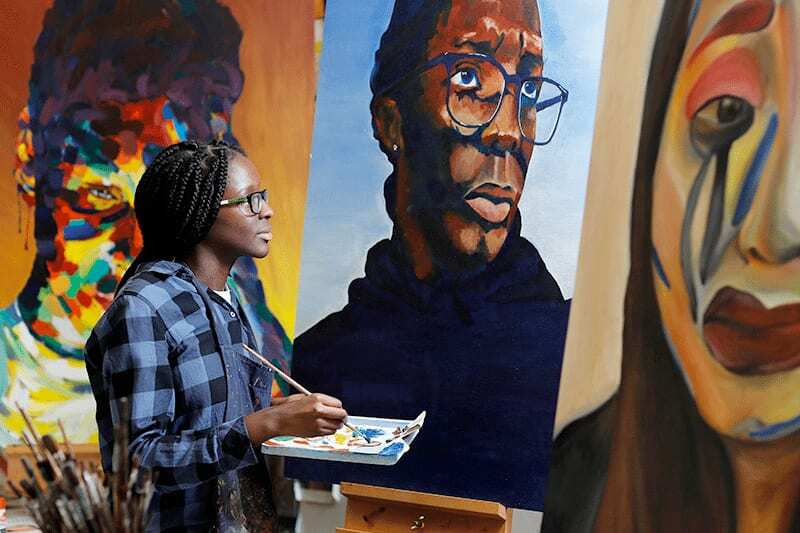 There is a real focus on telling the story of Dunraven School through student soundbytes, news and Tweets.